When it comes to compositing in Smoke’s ConnectFX, should you use Nodes or Action? Read on to understand the benefits each has on your next composite. Since the release of Smoke 2013 there have been 2 types of users who have embraced the connection of editing and effects. 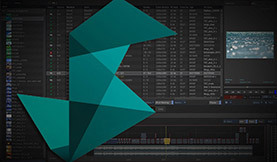 The first are video editors who want more compositing with their timelines. 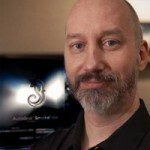 The second are visual effects artists who want more editing in their composites. 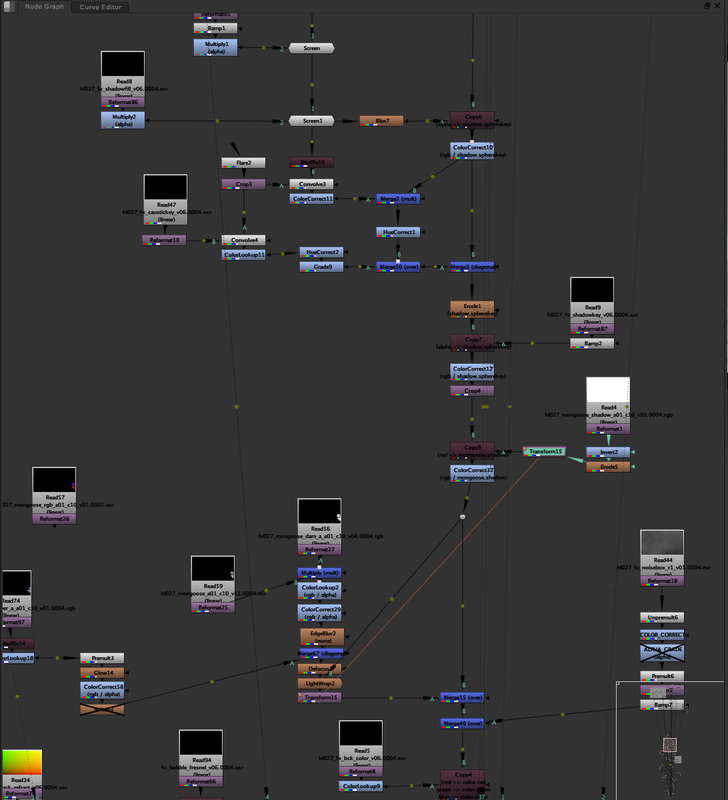 These VFX compositors may have come from other node based products, mainly Nuke and even some from the long lost Apple Shake Community. 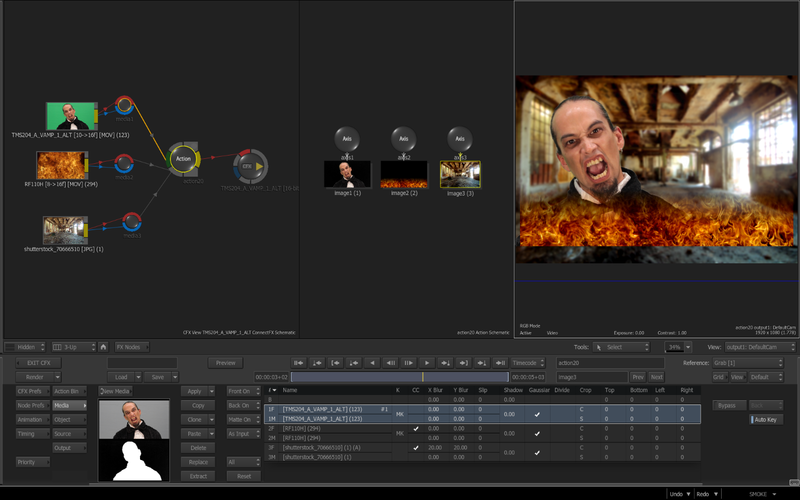 The editors are familiar with timeline layers, or maybe even After Effects layers, and start their composites on the timeline. 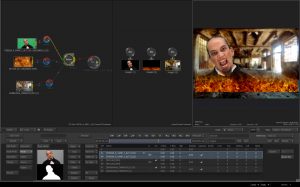 Both of these users might be new to Autodesk Smoke and although they can understand the ubiquitous tools like Color Corrector and Keyers, they may not understand the most powerful Node in Smoke’s compositing arsenal – The Smoke Action Node. The Nuke & Shake style compositors work in a very unique way. They use individual nodes to perform specific tasks and string all of these nodes together and comp individual pieces and parts into the final shot composite. They use separate Transform, Color Correct, Masks, & Keyers, to affect a single image and then use a series of blend or merge nodes (Multiply, Add, Screen, Over) to layer each shot over another to reach the final result. Each blend or merge node would accept 2 inputs and blend A over B. So if you had 5 clip layers, you needed to merge together, you would need 4 merge nodes. For those comfortable in Nuke or Shake you can composite in Smoke the same way. Click images below for larger view. 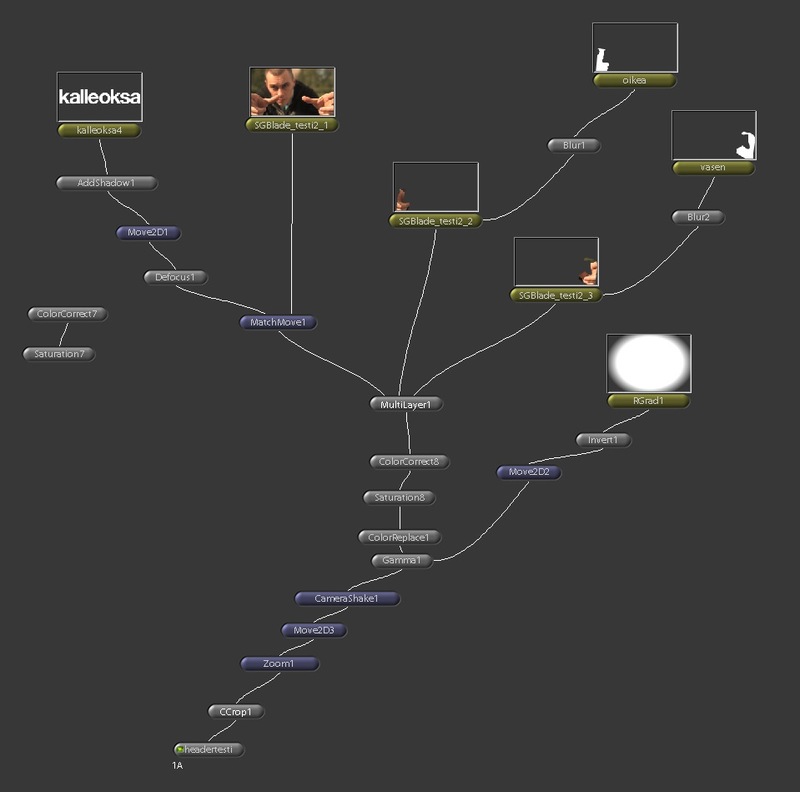 What I have been seeing with new users since Smoke 2013 was released, is that separate node compositing seems to be the default ways people are comping. 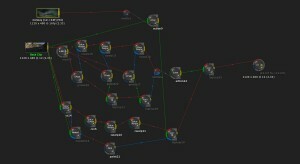 However, it’s also a very 2D way to composite using nodes. It’s my theory this is due to the fact that they are unfamiliar with Smoke’s Action Node. Action is a node that contains a 3D environment with Cameras, Lights, and Images controlled by Axis Nodes for transformations of your media inputs. Each media input also contains it’s own Blur & Crop controls, Keyer, GMask, and each has an individual Color Corrector, including the Color Warper. Click images below for larger view. Smoke’s Action can also import 3D models, create 3D text, Lens Flares, Shadows, and generate Motion Blur. Action also allows you to have multiple outputs where you can specifically select which layers in your composite get output. 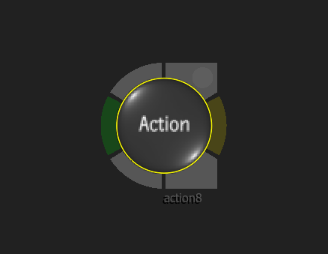 With Action you can customize matte outputs and generate special outputs including Z-Depth, Shadow, and Ambient Occlusion (AO) so you can further composite downstream of Action if you need too. 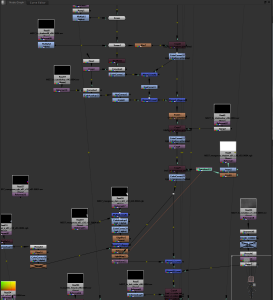 Action also contains it’s own internal schematic that allows you to link transforms and use instances of your media instead of having to reload a clip to duplicate it like you would duplicate a layer in After Effects. Each Transform Axis node in Action and each image layer also has access to tracking and stabilizing. All of the Photoshop blending modes are also available for each Image layer. Save Time. 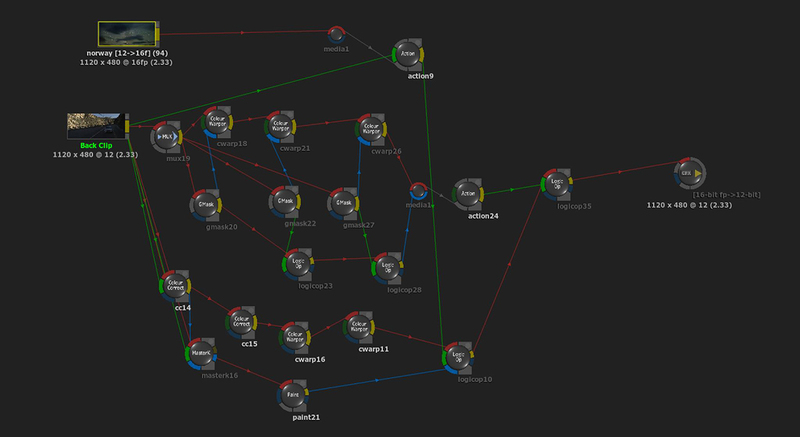 Use Less Nodes. Use Action. By using the internal Blur, Crop, Color Correct, Transforms, Keying and Masking inside Action, you can use less nodes in your schematic, which can speed up rendering time. It certainly keeps your CFX Schematic simpler. Action also gives you the ability to work in Context. So you can Color Correct your Keyed clip over it’s background to better sell the shot and create a more realistic result. Here is an example of a composition using the Nuke/Shake separate node workflow. Click images below for larger view. And here is the same composition using Action. Both ways are perfectly acceptable. I am a huge proponent for doing whatever it takes to get the job done. But I do encourage you to explore Action in your composites because it really is the heart of compositing inside Smoke. I think you will find it much easier to build and work with your composites when using any Transforms, Color Correct, Keying and certain blurs. The internal Action schematic may take some getting used to, as it is unique to the Autodesk ecosystem, but once you see the ease and power you have, the faster and more creative you can become in Smoke. I’d be interested in how you like to build your comps. Leave a comment below and share your thoughts.